When Katie Holmes was shopping for charity at FAO Schwarz in December. She looked casual and stylish with her cloche hat, tan coat and jeans. Find out how you can steal her look. Casual doesn’t have to mean sloppy. You can still looked pulled together whether you are spending a day shopping or having lunch out with the girls. Here, Katie Holmes manages to look adorable without being dressed up. Here’s how you can get her look for less. 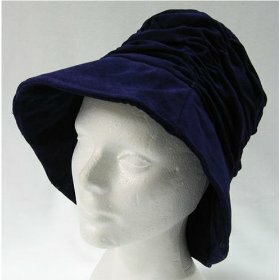 Start at the top with a charming hat like this bucket cloche in blue velvet. This hat is available at Amazon for under $20. You can wear this cloche with just about anything. Hats are fun and they are terrific way to cover up a horrible hair cut or a bad hair day. A trench coat adds a touch of classic style to your look. Choose from a variety of fabrics to nylon to tweed. Here this corduroy trench coat from Heritage1981 is just under $40. Finish off the look with your favorite pair of skinny jeans. Don’t be a label hound. Who cares about the brand if the jeans are quality-made, comfortable and cute. 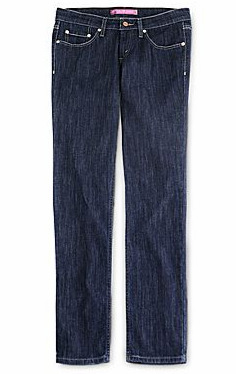 You can find an assortment of skinny jeans from Levi’s for around $30. Check out more ways to steal the look from today’s hottest stars.